‘Live at the Blue Boar’ – John Law’s Boink! 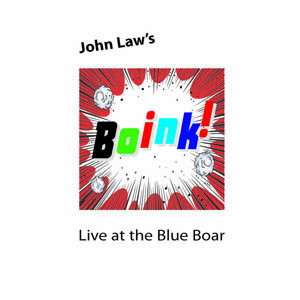 THE LICHTENSTEINESQUE cartoon cover art of pianist and composer John Law’s new album, ‘Live at the Blue Boar’, perhaps belies the depth, invention and musicality of his new quartet project known as ‘Boink!’. Law has delighted, for many years, with the eloquence of his writing and musicianship. 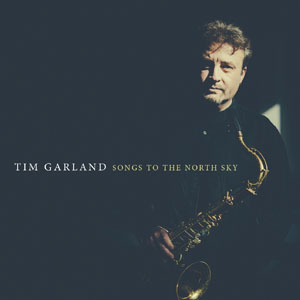 His various trio and solo piano albums have become treasures in the jazz catalogue, pushing creative possibilities with the outstanding ‘Congregation’ (2009) and ‘Three Leaps of the Gazelle’ (2012) which experimented so successfully with prepared piano, electronics and samples. ‘Boink!’ take this a step further, with a greater emphasis on electronics and effects, and the addition of electric guitar, soprano sax and bass clarinet, as well as drums. In the hands of a consummate and dedicated musician such as Law, the result is both surprising and exciting. The album was recorded live at the Blue Boar, Poole, Dorset (though, with no evidence of the audience, this could easily be a studio production, such is its clarity). 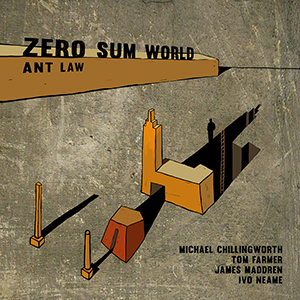 John Law eschews the Steinway for electronic keyboards/synths and backing tracks – yet, importantly, the orchestrated sound is far from synthetic, combining expertly with guitar, reeds and drums to create a refreshing assembly of jazz, rock and ambience. All but one of the compositions (John Coltrane’s ‘Naima’) are Law originals. An introductory scan of the album drew me in to Jazzz…, one of those tracks which immediately demands repeat play (bringing to mind Joe Zawinul’s 1980 rework of Ellington’s ‘Rockin’ in Rhythm’). Through an atmospheric urban weave of café/barroom chat and taxi horns, a faux horn section and Rhodes combo teasingly nudges its way into the foreground, Rob Palmer’s mellow-toned guitar and Jon Lloyd’s dulcet soprano soon establishing their improvisations over a catchy walking bass effect. This nine-minute swinging groove is irresistible, Law’s unmistakably adept piano display glistening as always. Fast-running opener, Dark Knight, is propelled by Law’s keyboards and Laurie Low’s cymbals and fast toms, Lloyd’s bass clarinet barking through a haze of fear-laden electronics – very effective, atmospheric picture-painting indeed. Lessness, as its title indicates, offers a certain weightlessness in instrumentation overlaid with an oration of words by Samuel Beckett (keys, guitar and soprano merging beautifully over the sustained effects), whilst the echoey, nimble And Them finds Lloyd and Law improvising over impressively intricate drum patterns, the whole repetitive piano-led momentum becoming more and more compelling. An electronics ruckus introduces and threads through Boink! (the track), Law soon commanding order via customary piano bravura, Lloyd’s soprano the perfect partner in this lively number. In huge contrast, recalling the horror of ‘9/11’, the chilling Incarnadine Day is inspired by words credited to 15 year-old Holly Law: “…in death our immortal victims of hate still live; etched in ash, their memories sing across the sky; the dead will never die.” Rob Palmer’s electric guitar and Law’s equally hard-edged keys bring an appropriate urgency to this memorial, dazed bass clarinet and effects seemingly evoking the incredulity of the aftermath of this world-changing disaster. John Law’s interpretation of Coltrane’s Naima (from ‘Giant Steps’) is fascinating, its Coltrane/Shorter-like soprano sax smouldering into a wash of carefully-programmed ambience, percussion and keyboard elegance. Closing number So Fast So Good pleasingly suggests further Weather Report influence. Its fast-moving, upbeat 7/8 piano and organ riffs (complete with F1 asteroid accompaniment!) are superb, the wah-wah guitar of Palmer such a great feature, as well as his persistent, crunchy lead. With Lowe an exceptional rhythm maker, this is an exhilaratory finale! Although ‘Live at the Blue Boar’ isn’t available through usual outlets, it’s easy to order (£10) directly from John by email (john.m.law@blueyonder.co.uk). Take a listen to Jazzz… and So Fast So Good over at SoundCloud – you’ll be hooked!